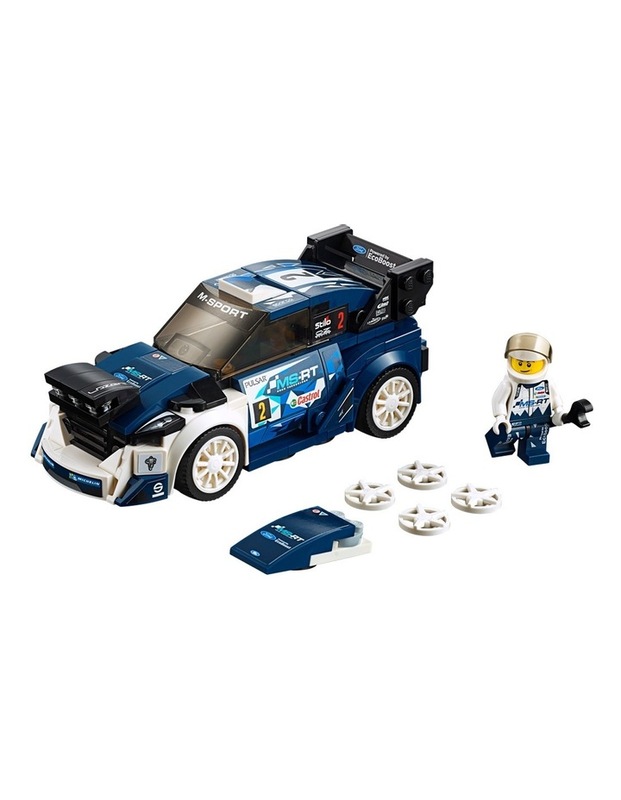 Includes a Ford M-Sport rally racing driver minifigure. 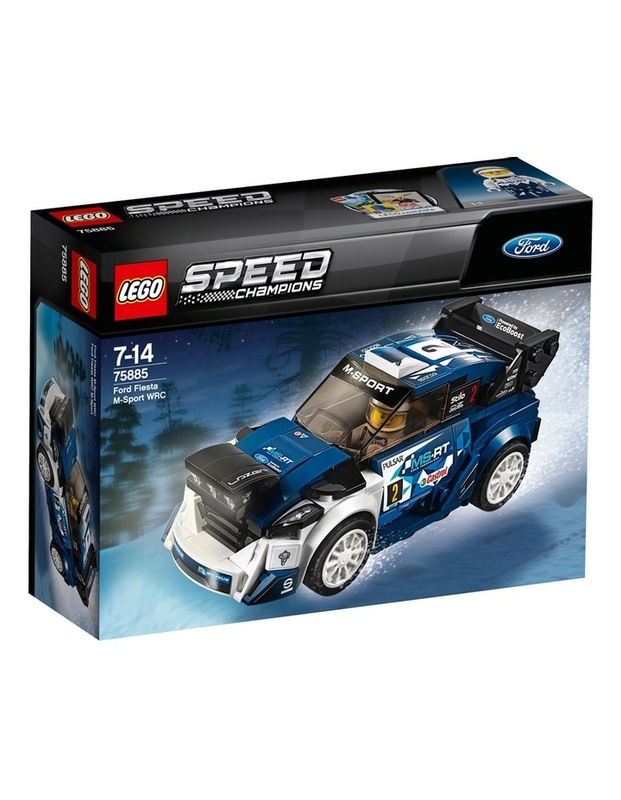 The race-ready, buildable Ford Fiesta M-Sport WRC features a minifigure cockpit with removable windshield, 2 interchangeable hoodsincluding one with spotlight-style elements, wheels with rubber tires, transparent light-style elements, authentic design details, racing colors and race-graphics stickers. 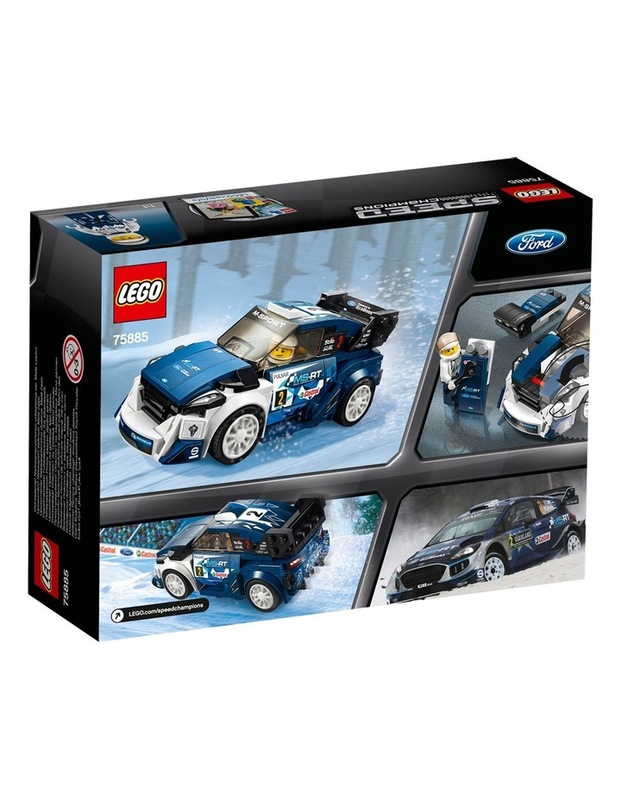 Remove the windshield to place the minifigure in the car. Also includes the Ford racing driver's helmet. This cool toy for kids is suitable for ages 7-14. Ford Fiesta M-Sport WRC measures over 2 (6cm) high, 5 (13cm) long and 2 (6cm) wide. Alternative hood measures over 1 (5cm) high and under 1 (2cm) wide and 1 (1cm) deep. 203 Pieces.